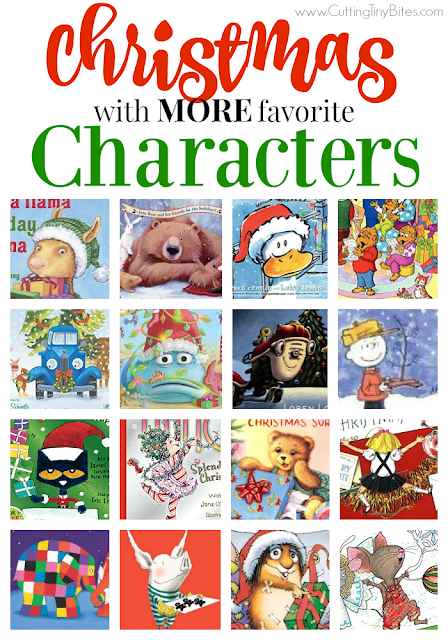 There were just too many fantastic Christmas books featuring favorite characters to contain them all in one post! If you missed the first installment, you can find that here, in the original Christmas With Your Favorite Characters book list. Here are over 10 more great choices for the children in your life. Little Critter helps his parents prepare for Christmas! Of course, he makes a big mess of things but it is his good intentions that matter. 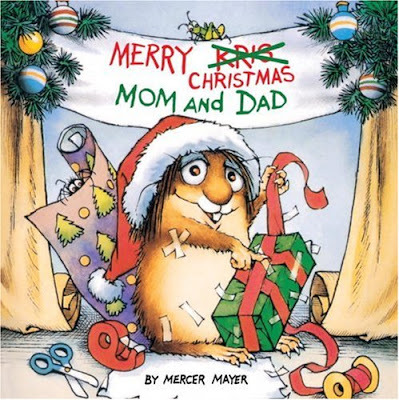 This silly story ends with Little Critter bringing all of his Christmas gifts up to his parents' room VERY early on Christmas morning. 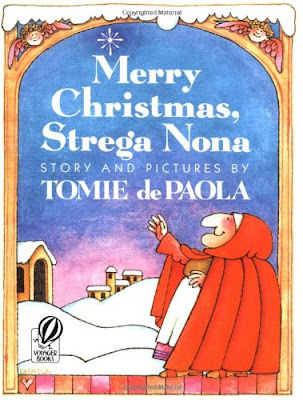 Strega Nona is busy preparing for an annual Christmas feast at her home for all the townspeople. Since she doesn't use magic at Christmastime, she and Big Anthony are extremely busy! Big Anthony pretends to forget some of the supplies so that he and the townspeople are able to surprise her with a feast for once. This story also incorporates some elements of a traditional Italian Christmas that your children may enjoy learning about! While visiting a Christmas tree farm with his owner, George climbs a tree that ends up being chopped down to take to the hospital. George plays stowaway, and then causes mayhem in the hospital before he is discovered. He ends up brightening spirits for the children who are stuck in the hospital. 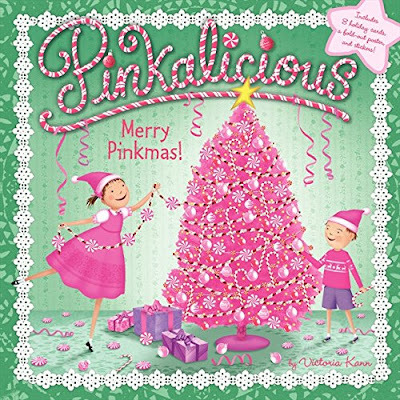 As Christmas approaches, Pinkalicious decides that she wants a pink Christmas tree this year. Her parents initially say, "no," but she eventually convinces them that it will be perfect! I like Pinkalicious's clear and convincing arguments. She's able to be polite while making her point. Since my Maggie is a lover of all things pink, we've read this book dozens of times! This book also comes with stickers, a pull-out poster, and some holiday cards. 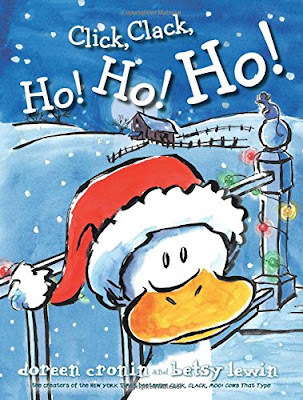 Duck, Farmer Brown, and the rest of the gang are back for Christmas fun. Duck causes a ruckus while Farmer Brown is decorating for Christmas. The cute and repetitive rhymes make Doreen Cronin's books favorites around here! Oh, Eloise. 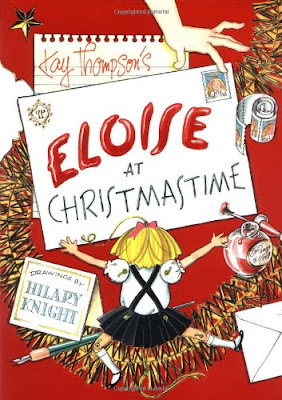 In Eloise At Christmastime, Eloise is spreading Christmas cheer throughout the Plaza. She visits holiday parties, prepares gifts for her loved ones, helps Nanny decorate, and somehow manages to get to sleep before Santa comes. This is Eloise in all her long, frantic, mischievious glory! It is a bit sad that Eloise spends Christmas with her Nanny and not with her parents, but she seems perfectly fine with it! Max is full of questions about Santa on Christmas Eve! He eventually decides to sneak downstairs and wait for him. In the morning, it's Ruby who's asking all the questions! 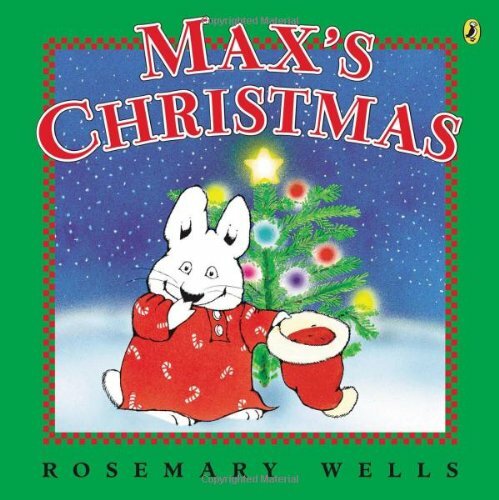 While Max and Ruby aren't my favorite characters, this is a pleasant little book that your children will enjoy. Stinky Face is full of his usual anxiety, this time all focused on Christmas. His mother provides kind and gentle reassurances, while diffusing the anxiety with humor. I love the dynamic between this mother and son! This series is perfect for the anxious child (unless you think they might get ideas of things to be anxious about)! 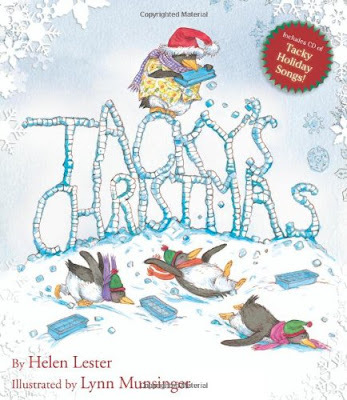 Tacky and his penguin buddies are all getting ready for Christmas. When the hunters come, they mistake Tacky for Santa Claus and end up staying to celebrate. Once again, Tacky's oddness proves to be quite useful! The best part about this book is that it comes with a CD of crazy Tacky Christmas songs. We've listened to them more than I should admit publicaly! This story needs no review! It's the classic Christmas story, in all its glory! 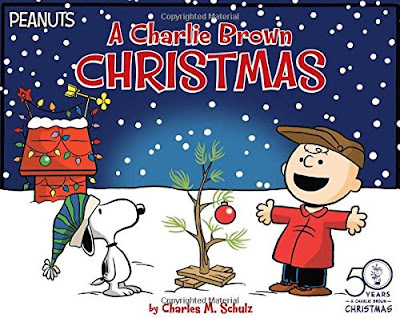 Charlie Brown learns about the spirit of Christmas with the rest of the Peanuts gang. Read it and THEN watch the movie! 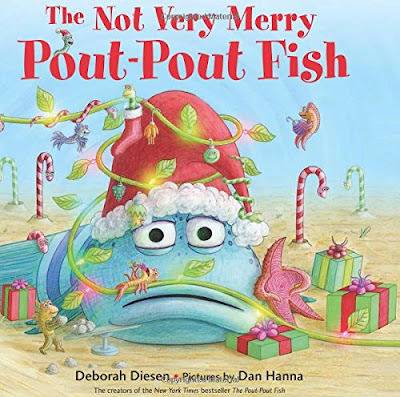 I love reading the "Pout Pout Fish" stories because I think they're great reminders for ALL of us to keep a positive attitude. In this story, Pout Pout Fish gets caught up in finding the perfect gift for his friends. Eventually he realizes that gifts from the heart are always the most meaningful. 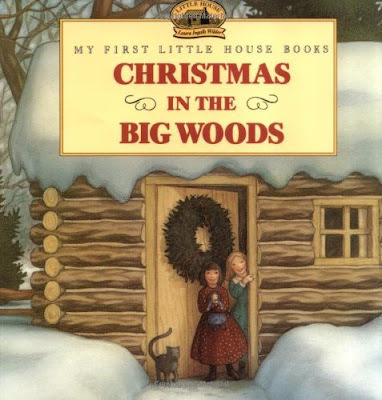 Christmas In The Big Woods is a picture book version of the Christmas chapter in the original Little House In The Big Woods. There are sweet illustrations and simple language to introduce younger children to Mary, Laura, and the rest of the Ingalls family. It's great to show your children what an old fashioned Christmas may have been like. My girls were astonished to hear that Mary and Laura recieved only a pair of mittens and a piece of candy for Christmas (and that they were thrilled about it)! It was a nice opportunity to talk about how blessed we are and how we should be thankful for all we have. Babar is so delightfully odd, isn't he?! 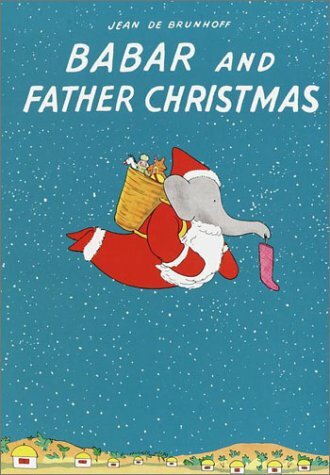 In this story, Babar goes searching for Father Christmas after the children write him a letter that goes unreturned. Eventually Babar succeeds in his search, and brings Father Christmas back to the elephants' country for a nice vacation before Christmas Eve. This book is quite long, so it may be a better choice for elementary aged children rather than preschoolers. Did You Miss the First Part of This Post? 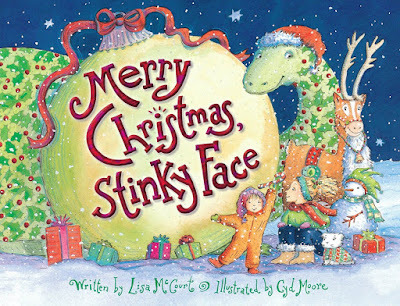 MORE great Christmas books for kids featuring favorite characters. Brief reviews of each book. 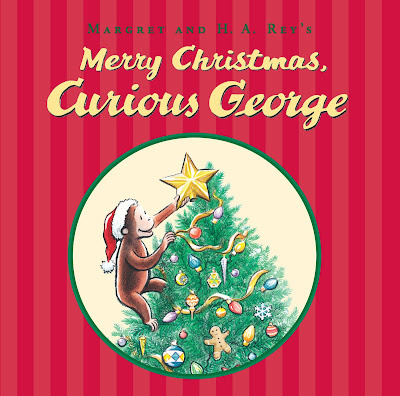 Celebrate with Eloise, Strega Nona, Pinkalicious, Curious George, and more!